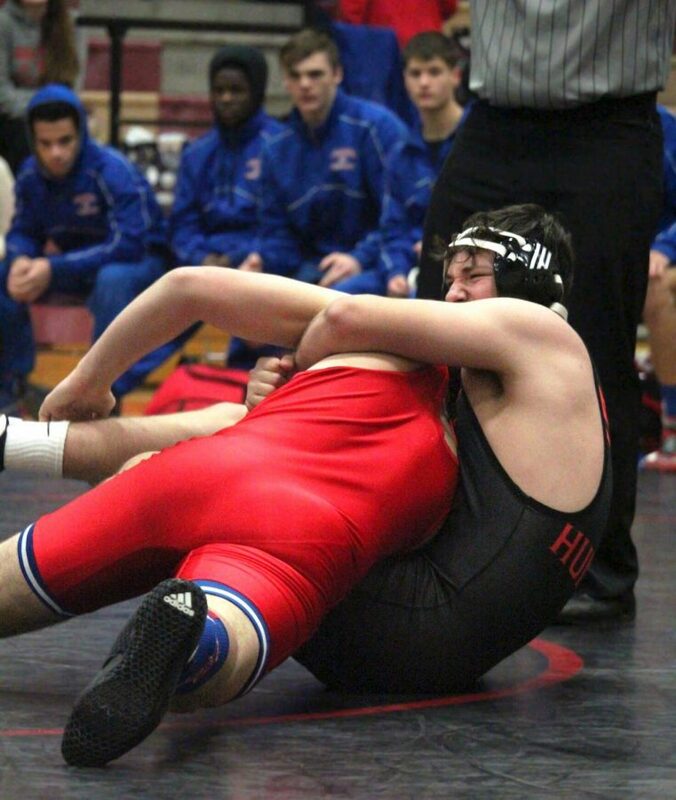 On Nov. 29 the Huntley Red Raiders took down the Dundee Crown Chargers in their second regular season match of the year 64 to 21. After a speedy takedown, senior Nikolas Wise (220) made the first pin of the night for Huntley. His successors followed suit earning Huntley points in a series of first-period pins. Junior Sam Spencer (126) came into his match well stretched and quick, showing his technical proficiency on the mat. In his signature way, Spencer won his match in a technical fall 19 to 4. According to Spencer, the Raiders have a challenging season in front of them. However, things are looking good for the team. Senior Gannon Kosowski (152) also won on a tech fall. Wrestling at 160, Junior David Ferrante faced an aggressive opponent. Ferrante matched his energy and easily brought his opponent to the ground, and kept him in a good hold earning him 9 points in quick succession. Ferrante pinned his opponent 11-1. Within the first 30 seconds, Junior Ruckus Hunkins (170) was able to manage two takedowns against his opponent. The match was slower paced, giving Hunkins time to gather up enough points to take him to the edge of a tech fall. Hunkins gained enough control to pin his opponent earning him the tech pin and 17 points. An upperclassman on the team, Hunkins has proved himself as a valuable member to the team. Though the season has just begun, things are looking positive for the Huntley team– especially with many already talented underclassmen.